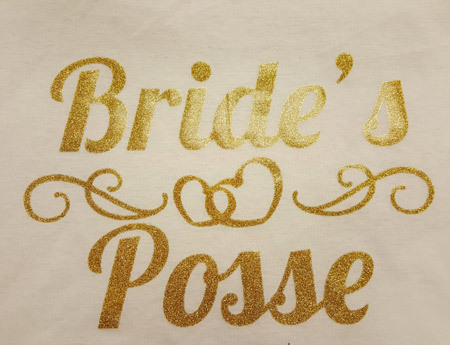 Made with real glitter flecks in a transfer carrier - radiates high fashion! Glitter transfers are priced as two colors. Vector pricing is for use with vector art files, only. Vector art files will not contain any non-vector art. Please see below for art specifications to ensure that your art qualifies. Glitter transfers are priced as two colors. Non-Vector pricing is for use with non-vector art files. If possible, submitting your art as a vector file will save you money. Please see art specifications below for more information. Custom ink mixes are not available for our Glitter Transfers, however we carry 13 stock glitter inks. Due to variation in monitor output, colors may not always be represented accurately.